The summer holidays are here once more and along with those long, hot, lazy days comes the challenge of keeping the kids entertained for weeks on end. Fortunately, if you’re thinking of visiting Liverpool this isn’t a concern as there are dozens of activities for all ages and what’s more many cost absolutely nothing. So if you’re staying with us at The Sir Thomas Hotel, situated in the heart of the city centre this summer, here are 10 great things to do for both young and old within easy reach that cost absolutely nothing. Throughout the summer the Victoria Gallery and Museum on Ashton Street in the city centre will be running daily art and craft workshops that encourage kids to get creative. They can make anything from a model to a mask using a range of recycled materials and what’s more, it’s all free. A huge artificial football pitch is coming to the Albert Dock this summer – with free coaching sessions for kids. The attraction, just a short walk from The Sir Thomas, has teamed up with Everton in the Community and the LFC Foundation to launch Summer Football on the Dock. The event will kick off on Wednesday, August 1 when coaches will be demonstrating the tricks of the sport at Mermaid Courtyard next to the Tate Liverpool. About a 20-minute train ride away is the fabulous Rice Lane City Farm which offers a little peace and tranquillity from the hustle and bustle of Liverpool. Spread across 24 acres there’s plenty to see including rare breed animals to the recently refurbished chapel and tranquil cemetery – an oasis of calm just a short distance from the city. After becoming something of an annual tradition The Pier Head Village returns to the centre of town once more this year and as always is free to enter. A complete day-to-night experience the village feature bars, street food and rides, not to mention plenty to see and do for the kids and grown-ups alike. Every weekend throughout the summer you can learn more about our wonderful world at Liverpool’s World Museum. Head to the interactive zones for a fabulous day of family activities which are fun as well as factual. The museum itself is completely free as are most of the workshops and exhibitions that take place all year round. 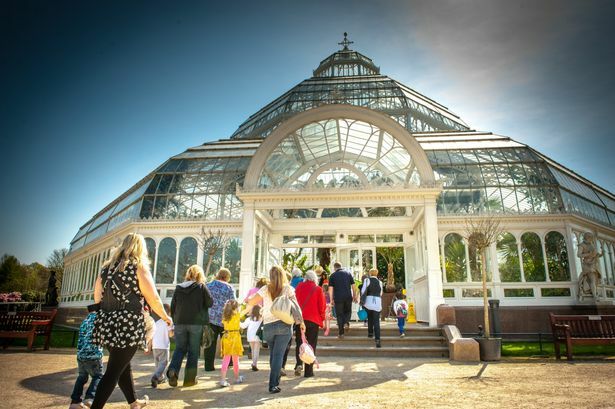 Spend a sunny day exploring the 235-acre Sefton Park, just outside the city centre which boasts stunning Botanical Gardens and the beautiful Palm House. If that’s not enough you can go boating on the lake or just stay on dry ground and feed the ducks; what’s more, there’s plenty of space for the children to run around including a large kids’ play area. Whether you’re a keen history lover, want to educate your child about Liverpool’s maritime history or simply want to take a look at unusual artefacts, the Merseyside Maritime Museum is just for you where you can view genuine items from RMS Titanic, including lifejackets and a first class ticket. You can also view various scale models, full-sized ships and fascinating maritime artwork. For a fun day out in the great outdoors and just a short train ride from nearby Moorfields, look no further than the National Trust Formby. You can discover beautiful red squirrels and natterjacks that are scattered across the miles of coastal walks where you can also take a bike ride or simply walk for miles whilst enjoying the stunning sea views which stretch as far as the eye can see. Seek out all things natural in the heart of the city’s busiest shopping complex on Liverpool One’s Chavasse Park Nature Trail. Pick up a pack at the information desk then see what you can find, from bugs to birds and get the kids involved in more than just retail therapy during your visit to Liverpool. A family event with kid’s rides, beach themed bouncy castle and slide, mini golf, this purpose built beach near to Calderstones Mansion contains 30 tonnes of sand, wooden decking and deckchairs for a great day out for all the family. For an additional £1.50 there will be various fairground rides and attractions including a canoe water ride.